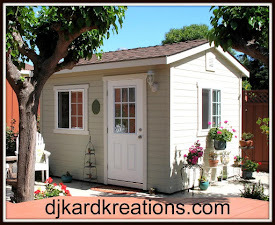 djkardkreations: Tag You're It GD! We've whooshed our way through another week to a Friday! I hope your week was filled with all kinda good things! 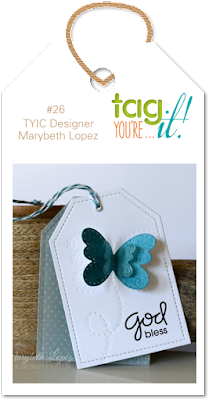 For my take on the design inspiration as your guest designer, I used Marybeth's elements of a two-part tag with both parts border-embossed. I used a pierced tag die from PTI. I flipped her design and used white for my underskirt and a pattern for the overskirt. Like Marybeth, I used a sediment (from SU) and a butterfly (from K and Company). It is super easy to make a QACAS tag where the paper itself takes center stage. I used a lovely white glossy butterfly-embossed paper for the bottom and a patterned and embossed vellum for the top, which I stamped in a clear space. 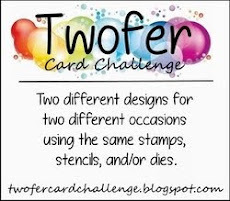 I hope you'll be able to join in this fun Tag You're It challenge! Remember, when you win one of the TYI challenges, you get to appear as a guest designer! 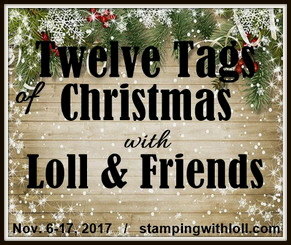 Besides, if you're like me and you don't make a lot of tags, this challenge is a great motivator and the gallery is filled with wonderful design ideas! Through the magic of television ~ no, wait, that's not right. Through the magic of, well, magic, I am appearing via a scheduled post as I am still visiting hither and yon with my friend Gal A. Vanting. I'll be back anon! Gorgeous tag. Enjoy your Gal. A. Vanting! Wow, I love this look Darnell! So beautiful! That is just gorgeous Darnell. That patterned vellum takes on an amazing look paired over the de-bossed white paper behind it! This is a must make for me next time I'm making tags, (which will probably be the holidays). Have a great day! Beautiful! Love your vellum-y floral goodness, and how you flipped the white to be behind. I did a cartwheel when you won, (seriously!) and adore this tag too!!! Congrats! OMGosh this is an absoultly stunning tag! the wow factor is over the moon! Gosh this is gorgeous! Congratulations on your win ,this is a winner too! Holy smokes this is PRETTY!!! You really made good use of the aper and that awesome butterfly. Great job Darnell, congrats on your guest spot!! Oh, Darnell - that is a gorgeous tag!! Wow, I love the overlay in vellum - it creates such an ethereal look! Congrats on the DT spot, my talented friend! Your tag is absolutely gorgeous. I love that vellum. Beautiful job Guest Designer. Gorgeous tag! The patterned velum is so pretty. Congrats on the GDT and what a lovely tag too! The white paper with the butterflies on it is a beautiful touch! Congratulations on your GD, your tag is soooooo gorgeous! Wow your tag is gorgeous Darnell!! The colors are oh so beautiful! I´m totally faszinated from your work,wooh! Love the nice embossing with the pretty tiny butterflies. The tag on the top has so beautiful and sensitive colorcombo,yeah. It looks so romanticly,like a fresh sunny day in spring. Congrats on the GD, well earned. Your tag is fabulous...so much gorgeousness going on here. It immediately drew my eye, so beautiful each bit of detail adds to the overall fabulous-ness! This is so lovely Darnell!! I LOVE the pretty vellum you used and the embossed paper underneath. Stunning design!! That is the most beautiful, gorgeous, exquisite tag. Love it! Gorgeous creation Darnell!Just soooo pretty! 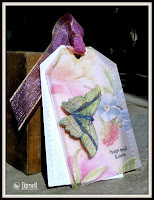 Your tag is sheer heaven with the soft colors and beautiful butterfly! Love it! Have a great weekend too! Congrats on being Guest Designer Darnell. 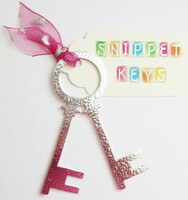 Your tag is stunning, such a pretty design and the colours are beautiful. WHOA! What a beautiful and stunning tag. Fabulous!!!! Congrats on the guest designer spot too. Congratulations on guest designing friend! Your tag is beautiful! Love the vellum and embossing, such an awesome composition! This is just beautiful Darnell and congrats on the GD spot! Beautifully done and it is a gorgeous tag. That is just so very pretty, Darnell! Glad I did not miss this beauty! I love your tag, it is so pretty. Wow! Gorgeous tag! And congrats on the GD spot! Congrats on guesting! Your tag is GORGEOUS! This is gorgeous! No wonder they wanted you to be a guest designer! I love the vellum! Wow, this is gorgeous! I love the soft colors on your vellum topper. I haven't given that tag die any love lately! Maybe I should pull it out this weekend? What a pretty tag! Love that flowery vellum! What gorgeous papers, Darnell! It must have been really hard to cut into them, but the result is so worth it! Love that soft colored vellum and the pretty butterfly! Have fun visiting Miss Gal! Congratulations, Darnell! You did them proud with your amazing double tag--stunning! Now I have retrieved my jaw from the floor there is only one word for your tag Darnell and that is supercalifragilisticexpealidocious!!!! (Hope I spelt that right). I am sure Hammy would agree. Darnell, this tag is beautiful. I love every bit of it. Hope you are having a wonderful time! What a fanTABulous tag! Great job and so pretty! Congratulations for the GD!! You absolutely deserve it!!! Your tag is beautiful!!!! Oh, Darnell, I LOVE this tag! It is so feminine and lovely. You used the prettiest papers and let them shine on their own! Have a wonderful weekend. Simply stunning tag Miss Darnell...your choice of pretty paper is fabulous! And that sweet little butterfly, the perfect way to finish off your wonderful tag. Congrats on being the GD too! Congratulations Darnell for being the GD. Your tag is so soft and beautiful. I love both layers. TFS my friend. 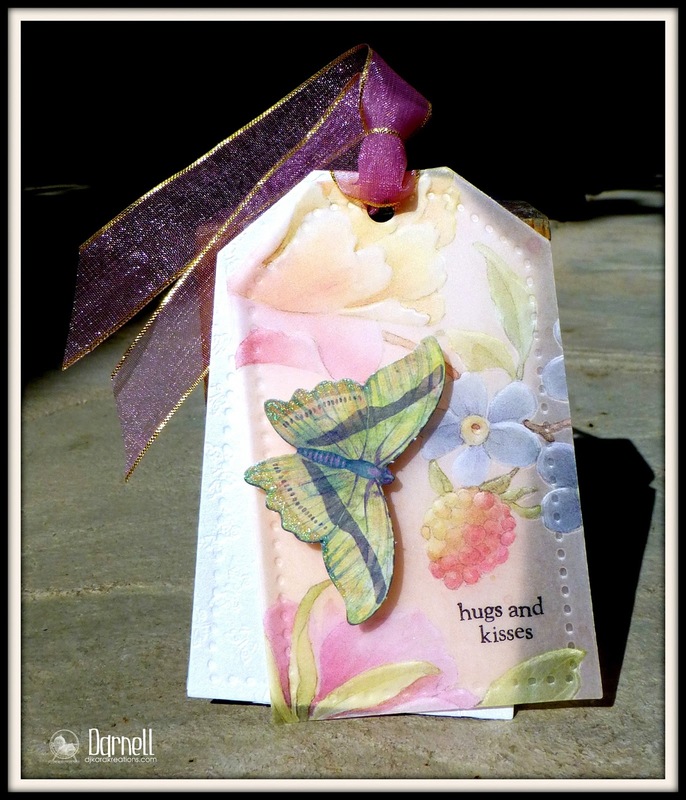 Awesome Darnell I am so happy to have you guest designing over at Tag You're It with such a beautiful tag. Holly Cannoll! This tag is gorgeous!! So elegant and delicate! Fantastic! Such beautiful colors in that DP, Darnell, and it lets that lovely butterfly stand out. Beautiful tag, Darnell! Such pretty papers you chose to use. Darnell, your tag is stunning! Love it! Hope your visit with Gal A. Vanting was spectacular; looking forward to hearing stories! As for your tag: swooning over the gorgeous butterfly and oh-so-stunning paper. Love this immensely; you're an awesome GD! Congrats being the guest designer, your card is soft and elegant. Congratulations on being a GD Dippy - this is a stunning tag; love all the muted colours, so pretty. Hope you're having a great time. Oh my gosh Darnell this is stunning! So soft and feminine! Your tag is as gorgeous as can be! I love the papers, especially together! Thanks for guest designing at Tag, You're It (It's so funny saying that now that I'm on a team, hee hee)! OOOH I recognize that paper! That is my all time fave by K&Co. I think I still have some hoarded away! Gosh.. good memories with that - the prettiest paper I've ever seen and something that started me crafting! Oh my your tag is stunning!!! Congrats on your GD spot!! Beautiful tag. Love the pastel colours. Wow, this is stunning Darnell. I love that paper embossed with the butterflies and the beautiful overlay. Gorgeous. Hope you are still on your trip and having a great time. So nice to have you along with us at Tag You're It! My jaw just about dropped when I saw this beauty. That vellum layer is gorgeous - never saw vellum like that before. And your butterfly is the perfect complement. Great take on Marybeth's inspiration! Mucho congrats on the GD spot...you did it up good, girl. Saw this on the TYI! post and said,"I know that name", and sure enough here you are. Love the vellum over the white shiny paper. Such a pretty flutterby. So pretty and that vellum is gorgeous. Never thought of having two layers for a tag so thank you for the inspiration. I'm sure your having a wonderful time wandering around between friends with lots of talking and eating happening. Enjoy!! Congrats on your Guest Designer spot, Darnell! I really love your take on Marybeth's tag...WOW! 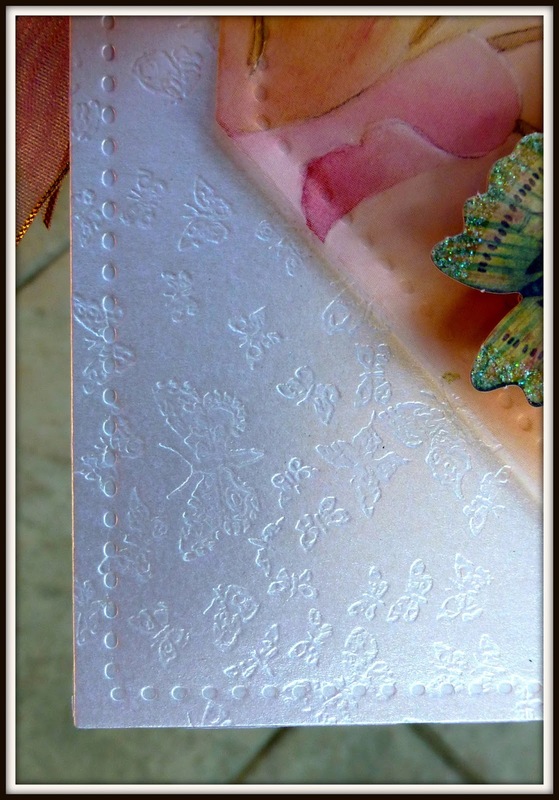 Your vellum overlay is gorgeous and your embossed butterflies are lovely! You're really inspired me to join in the challenge...Thanks! Darnell this is so beautiful! Love the paper you used! Wow!!!! Your tag is just gorgeous Darnell! I love the muted colors with the butterfly tag. Very nice!! So gorgeous! LOVING that butterfly!!!!!!! WOW! WOW! WOW! Elegant simplicity! You have created a stunner here pal! Yes, the papers are divine, but it's what you did with them that make them shine, shine, shine! You rocked this Guest Designer gig to the max! This is such a pretty, delicate dreamy tag. WOW!!! It's stunning! LOVE so much this romantic tag with this transparence! Great techniques and fab colours, just wonderful! Thanks for be a my new follower, it's a hounour for me! Your tag is sooo beautiful, Darnell!!! Those embossed butterflies on the underskirt is fabulous and the printed vellum on top looks great!!!! Love the beautiful butterfly!!!! How lucky are they over at Tag You're It to have you for a guest designer!! Your rag is spectacularly lovely!! Love it!! Your tag is so beautiful! Love it!